Edinburgh, Scotland and Vicinity ~ Learn, Live, and Explore! Built on the spine of volcanic rock, Edinburgh (pronounced Ed-in-burr-uh) has a city history that dates back to the middle ages. The city layout we are able to tour today can be rooted back to at least the 16th century, with the fort on top of the hill and small paths, or closes, that branch off of the main road down the hill - the High Street, also known today as The Royal Mile. 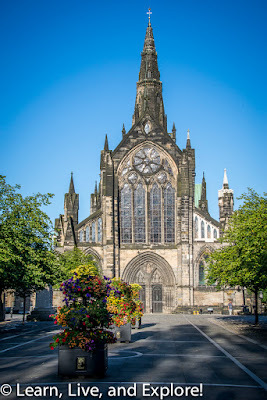 Edinburgh was once bordered by a wall on Chambers Street, the Nor Loch and later Princes Street and gardens to the north, and a city gate called Netherbow Port to the east, lower on the hill. 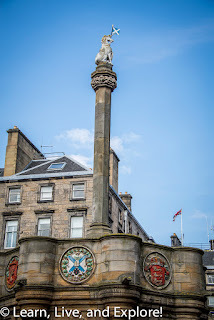 Today The Royal Mile extends beyond the former gate location to Holyrood Palace, which marks the end of the stretch and the bottom of the hill. 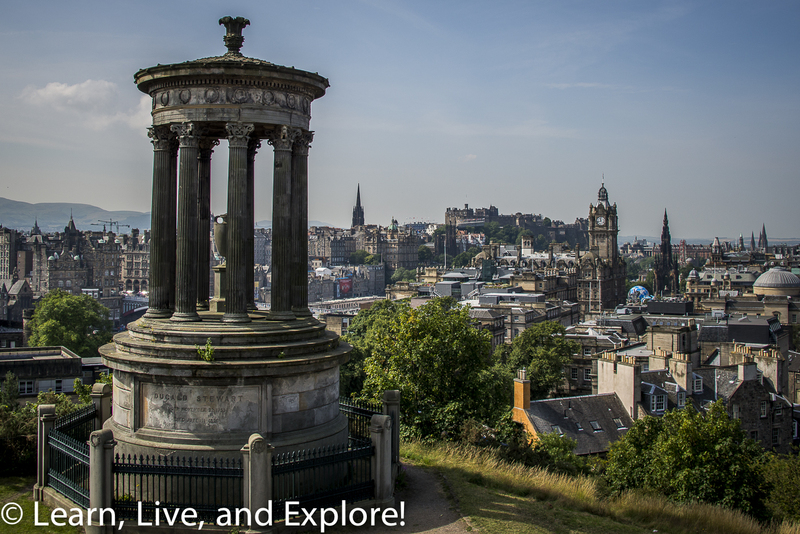 Most references to early Edinburgh that remain today are from the 17th century, a time when within this maybe a 2 square mile area, approximately 21,000 people lived. With the stability of the volcanic rock as a foundation, buildings were built up to 10-14 stories high to accommodate the crowded city. The closes between these tenement buildings were steep and narrow. 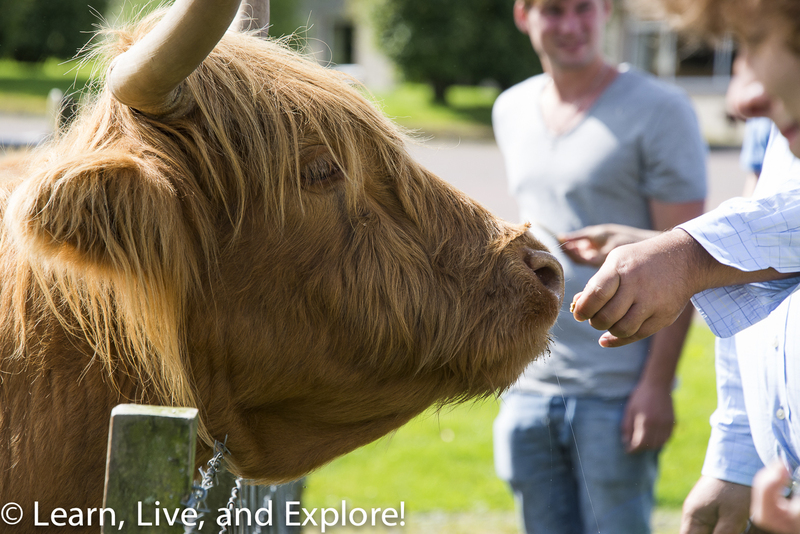 Many of them remain in the city for exploration, assuming you like walking up and down hills while on vacation. 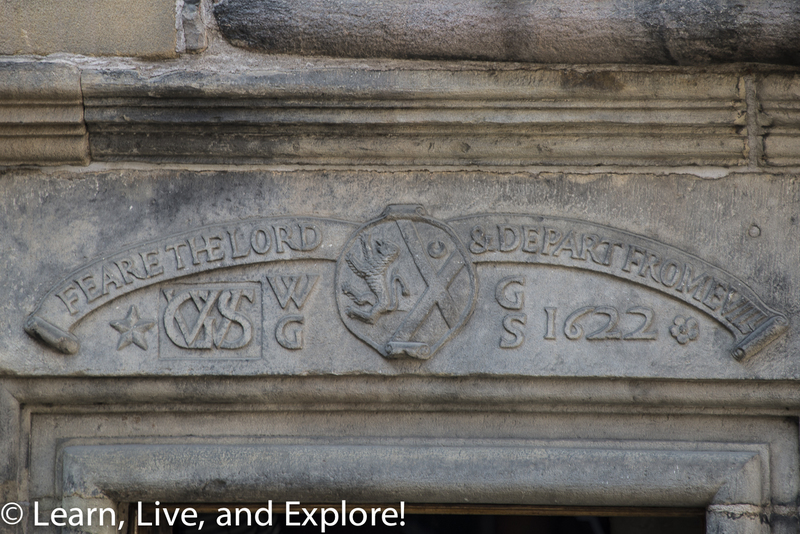 To get an idea of the city's layout and history, as always I took a walking tour. 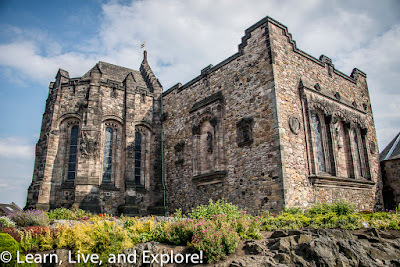 I could have opted for the Sandeman's free tour, as I have in prior European cities, but this time I chose a Secrets of the Royal Mile tour offered by Mercat because it included a guided walk through Edinburgh Castle. 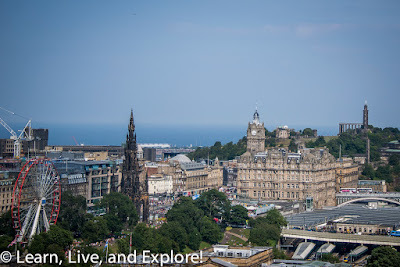 Unfortunately, I was visiting during the Edinburgh International Festival, so The Royal Mile was loud and crowded - made even worse because it was surprisingly sunny in Scotland. The guide had to alter her route to not include the lower mile and to find quieter spots off the main street. 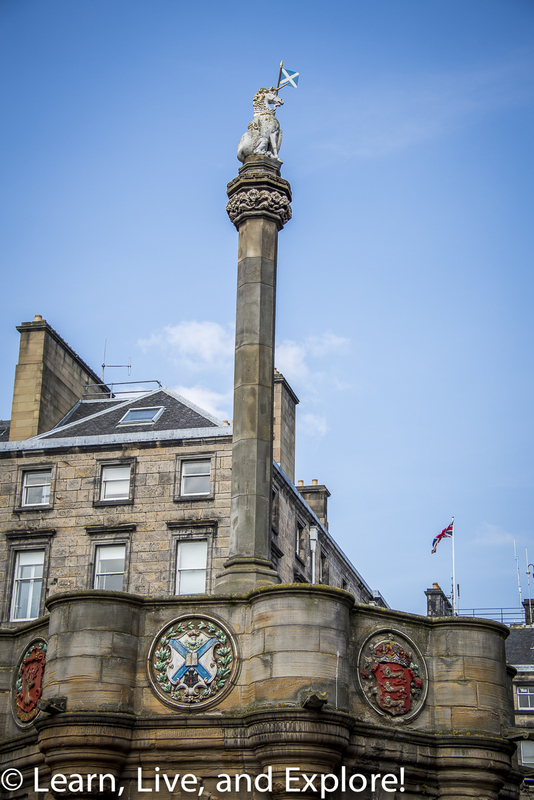 The tour started by the Mercat Cross, located next to St. Giles Cathedral. This was prime festival area, so we quickly moved behind St. Giles to talk about Parliament, then went down Advocates Close, and over to find ourselves in front of the Writers Museum in Lawnmarket. 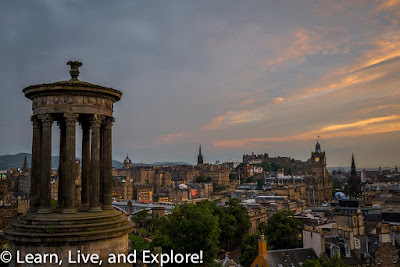 I don't want to talk too much about the tour because I know that my experience was based on the conditions of the town of Edinburgh in August, so someone will probably have a completely different and more extensive route any other time of the year. 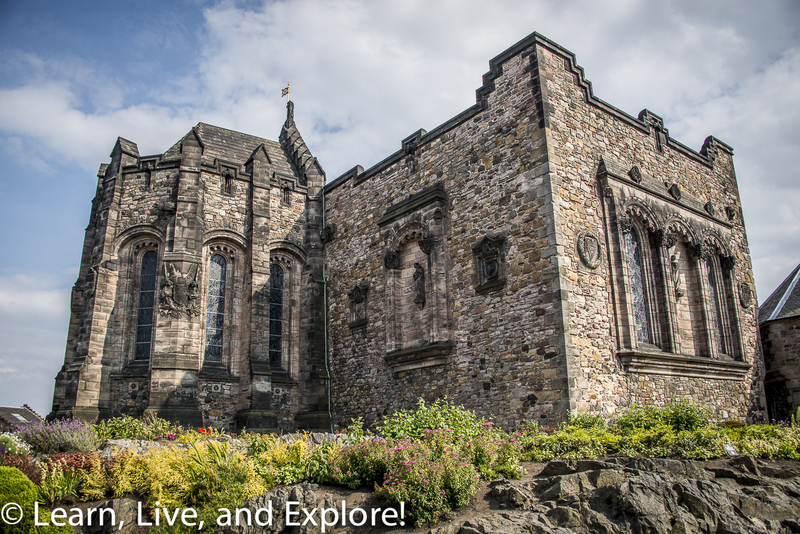 There was an option to continue the tour into Edinburgh Castle. 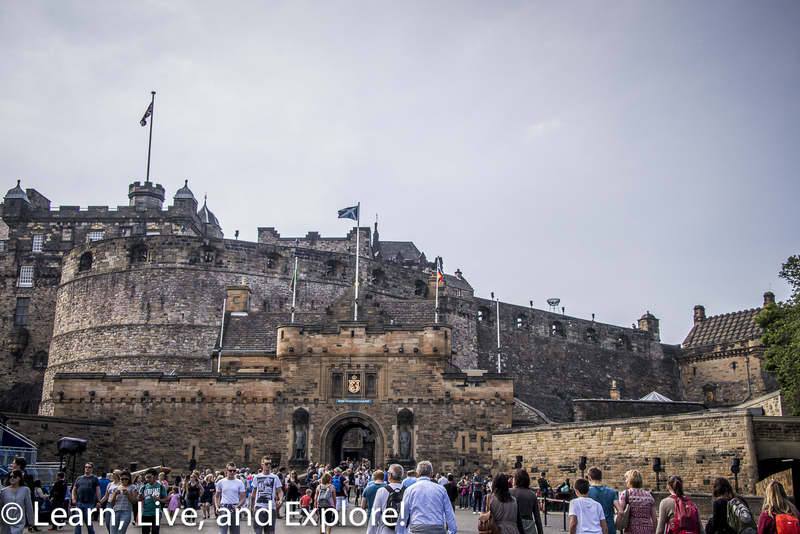 The ticket price was more expensive, unless you have a Historic Scotland Explorer Pass in which case you only pay for the regular tour. 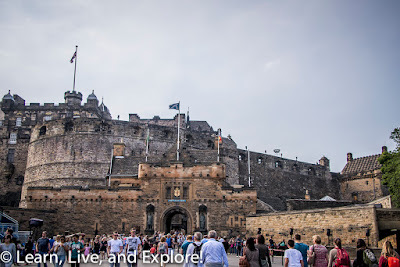 Even Edinburgh Castle was not in its normal state when I visited. 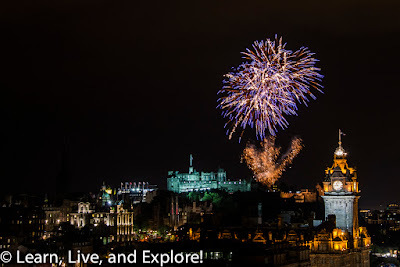 The esplanade, which many told me has fantastic views down the Royal Mile, was occupied by a massive temporary grandstand set up for the annual Royal Edinburgh Tattoo - a nightly performance in August of international military regiments. 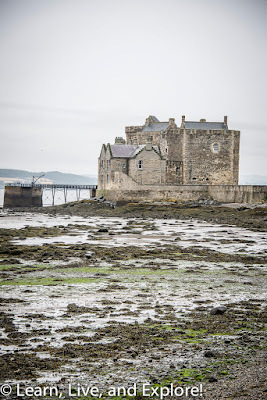 Part of the castle we can visit today dates back to the 12th and 15th centuries. Many years of wars and sieges led to repairs and additions to the castle. After being a prison for the 18th century and early 19th century, the castle was finally declared a national monument. 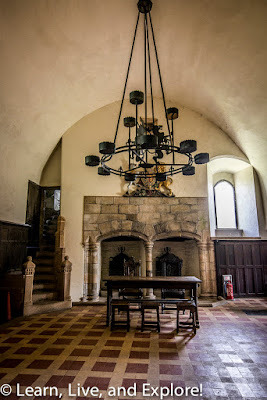 Much was changed during Victorian times to the interior and exterior to make the castle more aesthetically pleasing to the city skyline, including the redesign of the gatehouse and the Great Hall. Today, it is primarily a tourist attraction, but it also functions as home to a ceremonial military garrison as well as a military museum and war memorial. 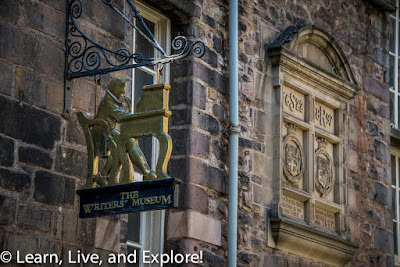 While in Edinburgh, another tour to consider is the Mary Kings Close tour. As I mentioned earlier, Edinburgh was designed with these narrow closes, or wynds, to separate the tall tenement houses. These lanes and alleys were named after the most prominent citizen resident of the close or a common business on the close. Mary Kings Close was named after Mary King, a businesswoman who inherited her shop from her late husband and expanded its success. King owned several properties on the street. Houses along Mary Kings Close and the neighboring Stuart Close were demolished to make room for the Royal Exchange building, now the City Chambers across from St. Giles Cathedral. 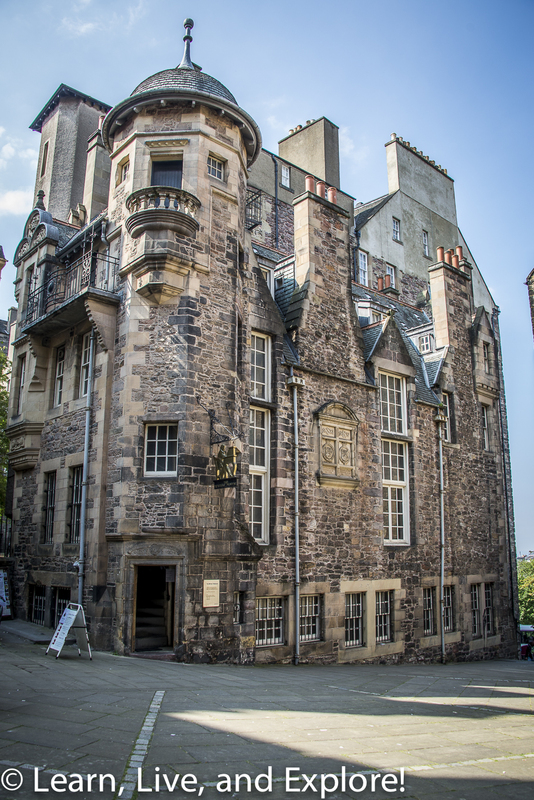 Many of the walls of the tenements on the two closes were used to form the foundation of this large Royal Mile building. As a result, you can go "underground" to see examples of original rooms and apartments, look at examples of the disparate living conditions of the poor and the upper middle classes, and learn about the plague that was unaffected by class distinction. And, you will hear the worst story of all, the 7am and 10pm "gardyloo" calls, where refuse buckets were emptied onto this, maybe, 10 foot wide close - draining down the hill into the Nor Loch. Though the city's nickname of "Auld Reekie" started a few hundred years ago because of the chimney smoke from all the apartments, it's understandable that the name could also cover all the other foul stenches, including the once-a-year bathing regimen on top of the gardyloo. 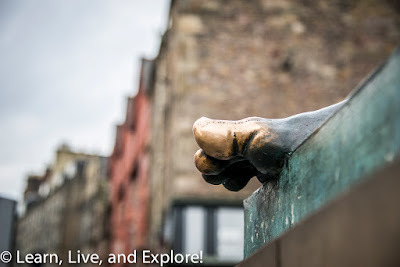 Now that I have probably thoroughly disgusted you, don't forget about the modern history you can find in Edinburgh. 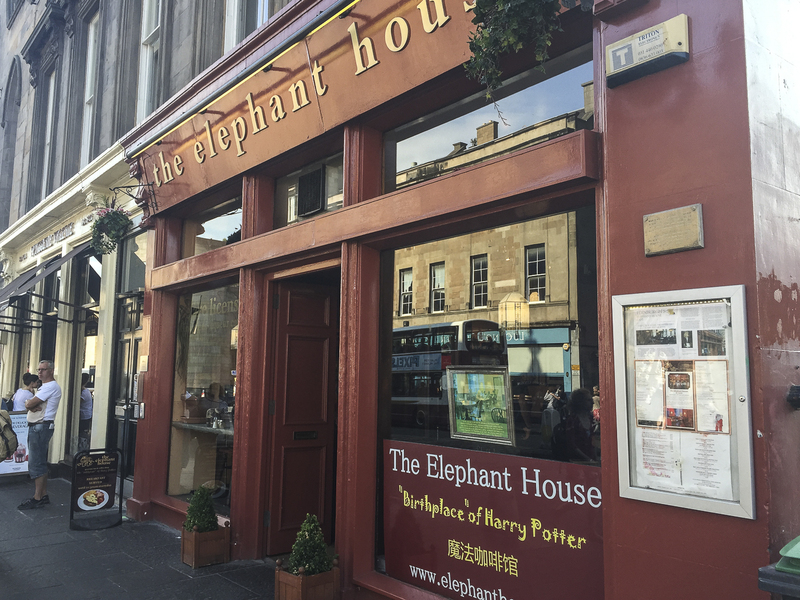 And by that, I mean the Elephant House cafe where J.K. Rowling wrote her Harry Potter series! Make sure to check out the toilets! 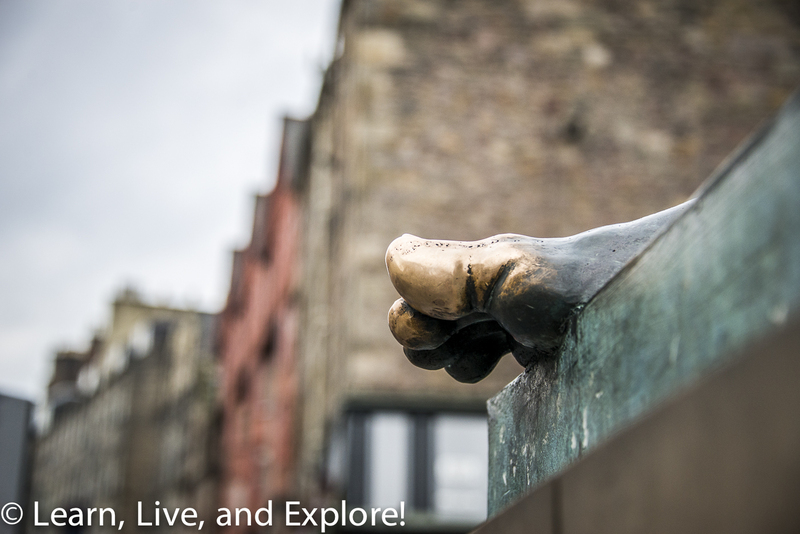 And finally, if you have something big coming up that needs a sharp mind, give the big toe of David Hume a wee rub. Hume is a Scottish philosopher, historian, and economist whose thoughts published in are considered to have influenced the construction of the United States Constitution. Rubbing his toe is thought to bring good luck for exams or reviews. 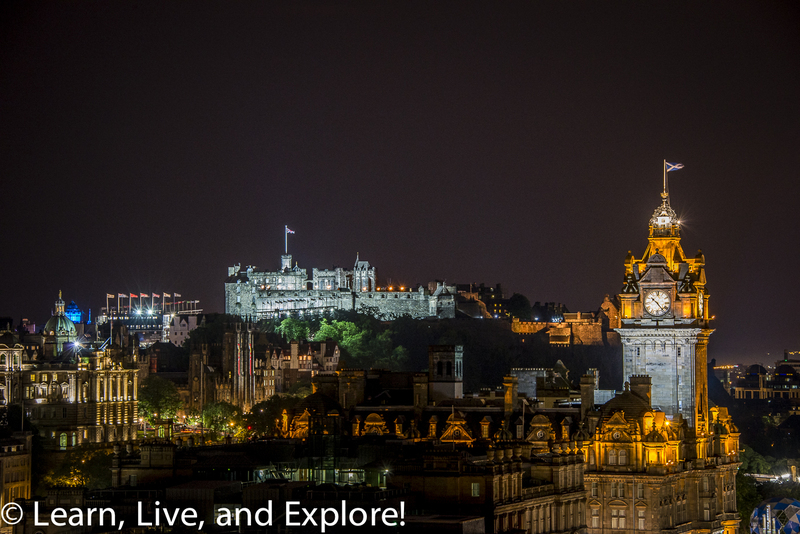 Who doesn't love a cityscape photo? 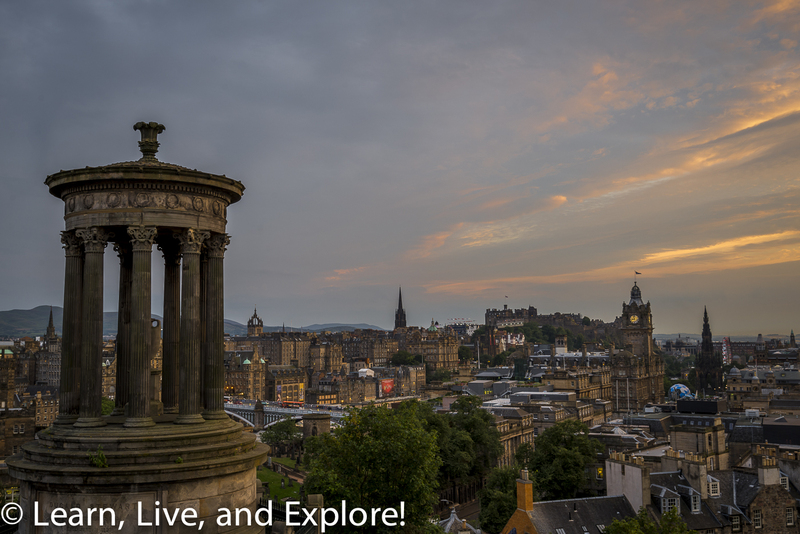 While most of the time you're in Edinburgh you will feel like you are constantly going uphill, there are some advantages to that. 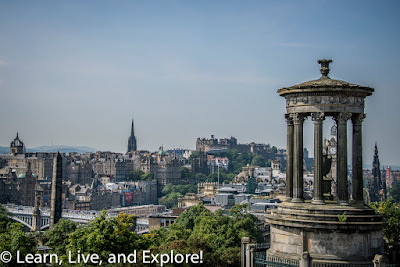 If you are in Edinburgh Castle, you will be able to find many views, especially of the north side of the city, though not as pretty as a castle-facing view. 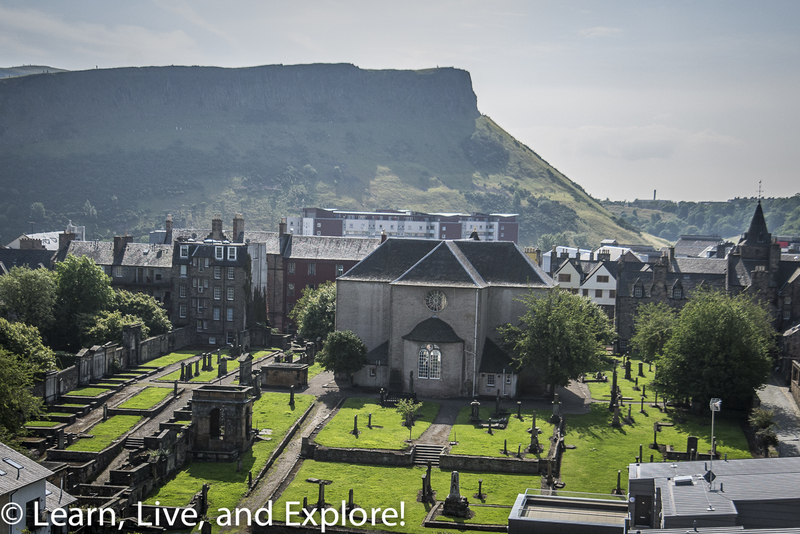 For those looking for a physical challenge and some views, there is a large, volcanic slope that you can't miss called Arthur's Seat. 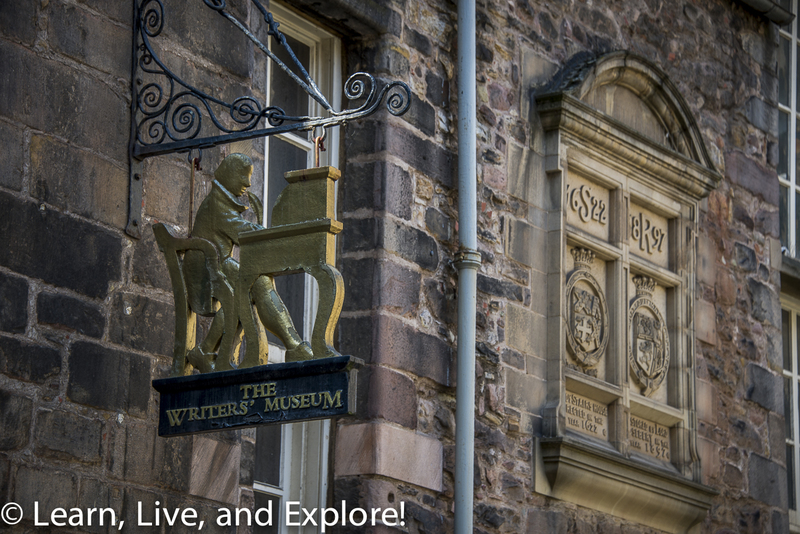 Access to trail options leading you to the top is through the grounds of Holyrood Palace. 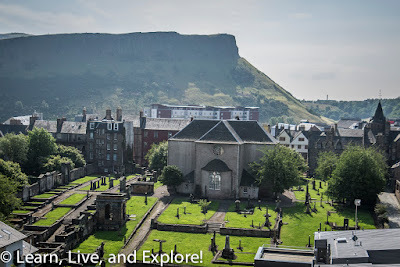 Though I had planned to do a morning hike one day while in Edinburgh, that idea was scrapped when I was met on my short walk from the train station with SEVEN flights of stairs I had to climb (The New Steps) - with my luggage weighing a combined 80-85 lbs, mind you - to get to my hotel. 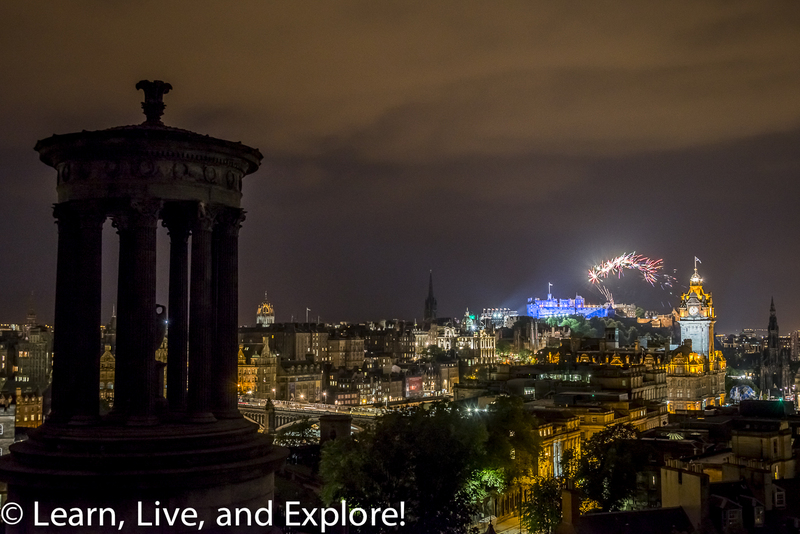 Then there was the day I chose to climb Calton Hill not once, but twice. And, of course, the constant ups and downs getting from Point A to Point B in Edinburgh. To say the least, I was exhausted!!! So Arthur and his seat, pictured below, will be saved for next time. And there most definitely will be a next time. I loved Edinburgh! Speaking of Calton Hill, this view can be accessed by (1) starting at Holyrood Palace and climbing up the cemetery steps off of Calton Road to get to Regent Road, turning left and walking until you see the entrance stairs to the hill of monuments. Or (2) you can cross North Bridge and make a right on Princes Street. 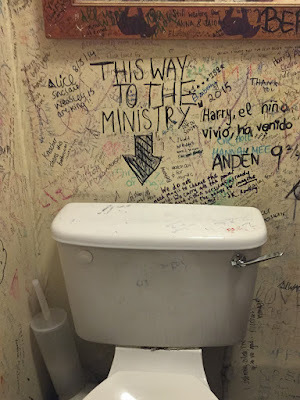 The second way is a little less hilly. Either way you choose, it is a stop I encourage you to take. I went during the day because I was expecting sunset to be poor (and it kind of was) and possibly rainy. The second climb, for sunset, I did not expect to stay beyond sunset until 10:30pm, with other photographers on the hill, to watch the fireworks finale of the Royal Tattoo. It was a fantastic bonus that made up for the lackluster sunset, despite the wind being strong and cold, and me with no jacket. Of course, I'll just remind you that I had with me a tripod, remote shutter release, and 28-300mm telephoto lens for these night shots. Your non-DSLR camera, iPhone, iPad, selfie stick will not replicate the sunset or night shots below. There are tons of options that require either doing some research to find a bus company for a tour or planning your own tour and renting a car. I did both! In an upcoming post later this month, you'll see what car-based tour I created. 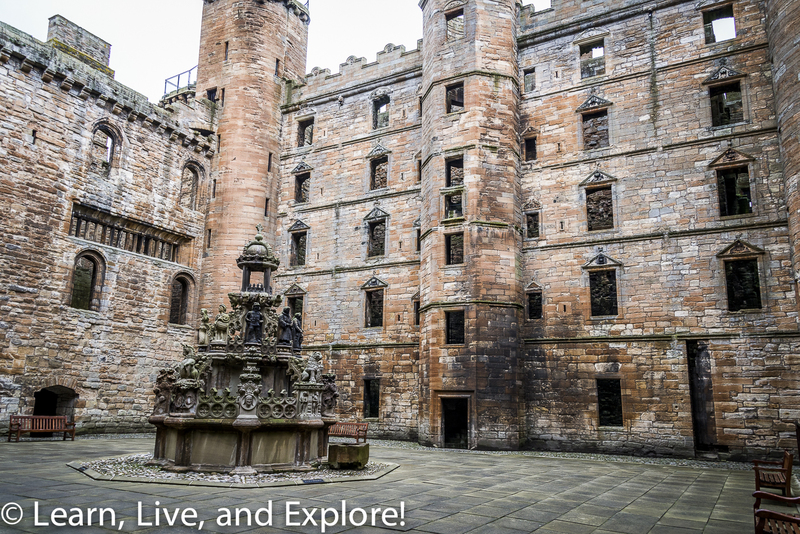 It included stops at two castles just outside of Edinburgh: Blackness Castle and Linlithgow Castle. 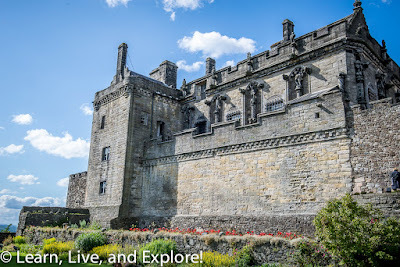 For Stirling and Doune Castles, I used Discover Scotland Tours for a day tour out of Glasgow. 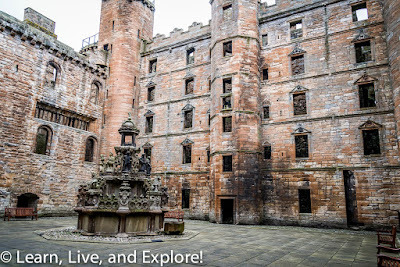 Built in the 15th century, Blackness was connected for two centuries to activities at Linlithgow Palace nearby. 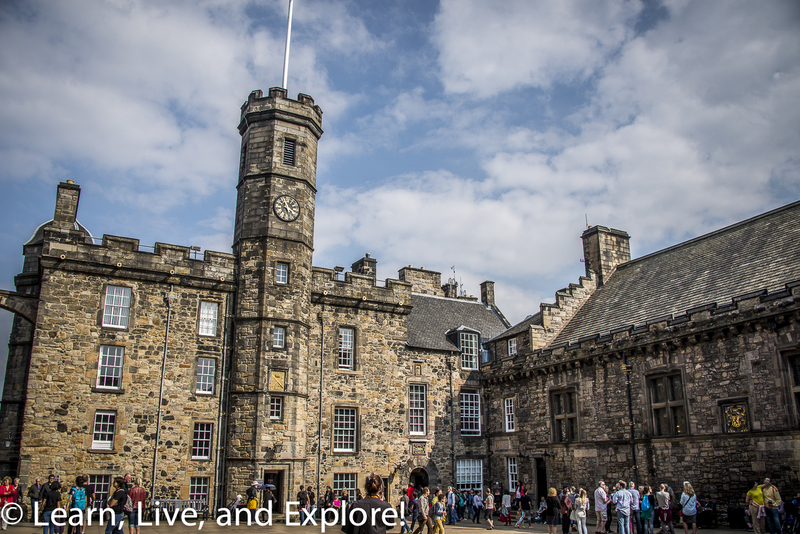 It was used as a prison for high and middle class citizens until 1707. What remains today was mostly built in 1543, with repairs being made after damage caused by Oliver Cromwell's army. Blackness was a garrison post from 1707-1874, then it became an ammunition depot until after WWI. 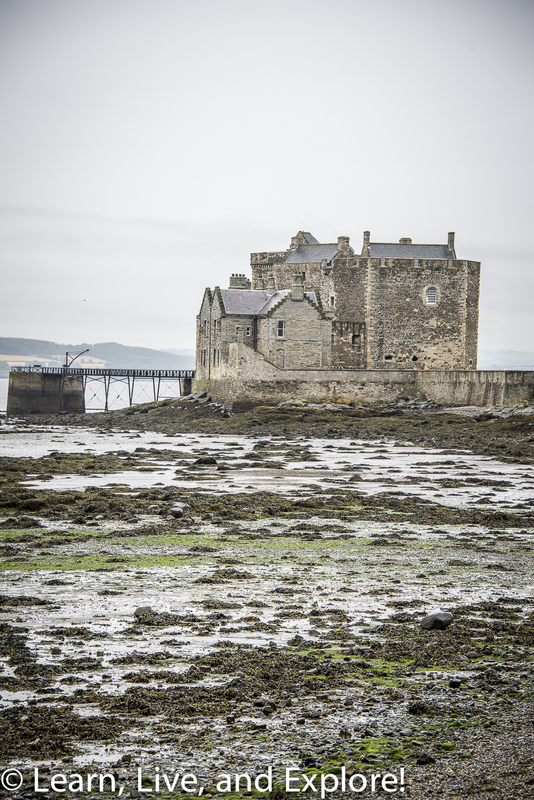 These castle ruins were once home to the Scottish King and Queens. Throughout the 15th and 16th centuries, the palace was consistently used and improved upon by the royals. Mary Queen of Scots was born in the palace and would continue to visit in her later years. 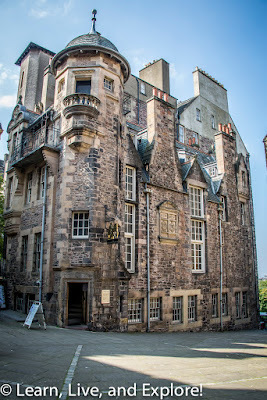 In the early 17th century, after James VI moved his court to England with the Union of the Crowns, the residence was rarely used and fell in to ruin until James VI had it repaired years later. The Earl of Linlithgow occupied the residence, but it once again fell into disrepair, until finally it was burned in 1746 by the Duke of Cumberland. 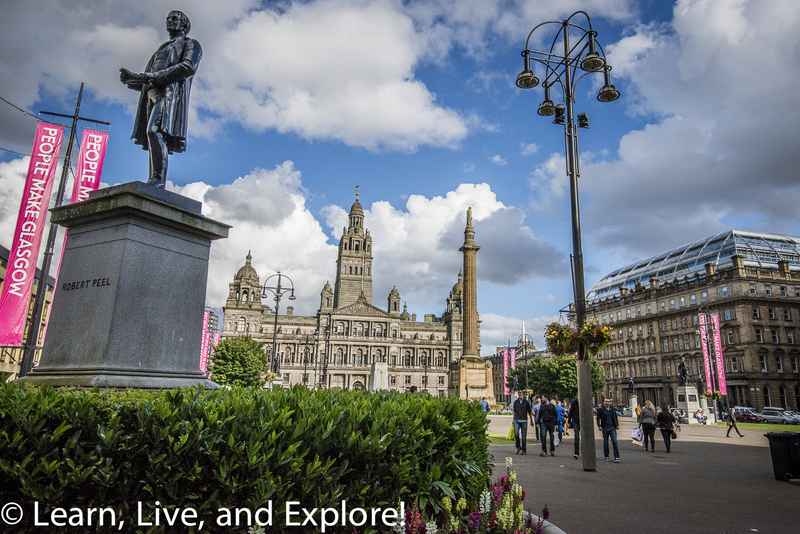 If Edinburgh is known for its historical character, Glasgow is much more of a commercial center. The city center is lacking in sites to visit, though George Square and the Glasgow Cathedral are must see places. 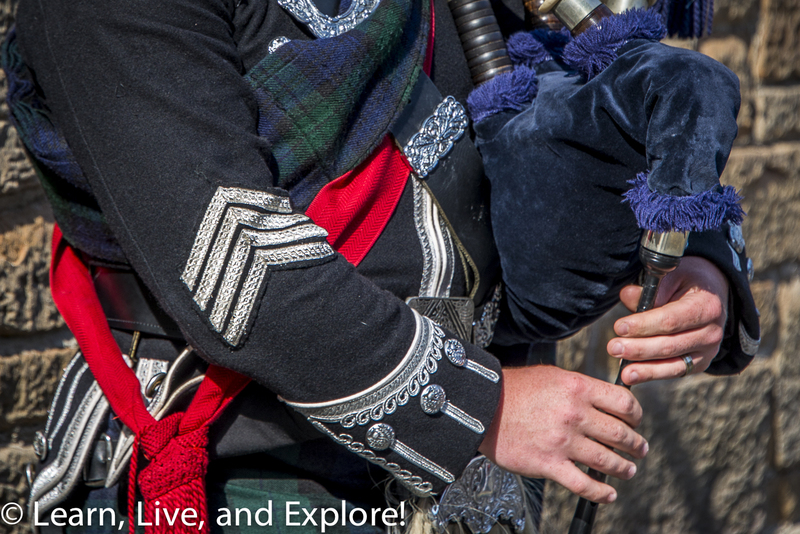 Glasgow is more about the culture - performing arts, museums, etc. They also have a few hidden lanes that are popular for shopping or food and drink: Ashton Lane and Cresswell Lane. 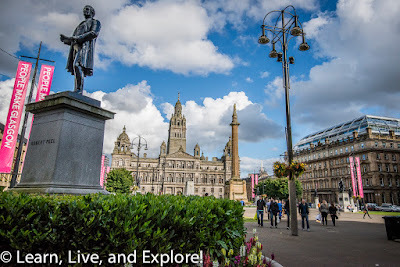 For me, I went to Glasgow because I had never been before, and I used it as my base for a tour to the nearby popular castles and Loch Lomand. If you want to do Glasgow as a day trip from Edinburgh, the trains are frequent and cheap - under £13 round trip. Less known for its history as a medieval stronghold and, later, a hunting residence and dower house, Doune Castle is being visited more frequently now by fans of Monty Python, Game of Thrones, and Outlander. 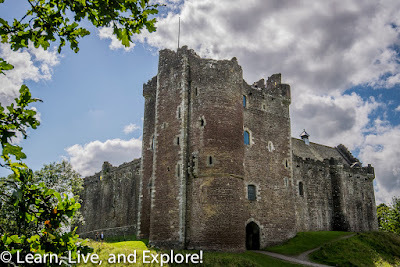 It was the filming site of the taunting french soldiers scene in Monty Python and the Holy Grail, interior scenes of Winterfell on GoT, and home of the Mackenzie clan (a.k.a. Leoch) in Outlander. 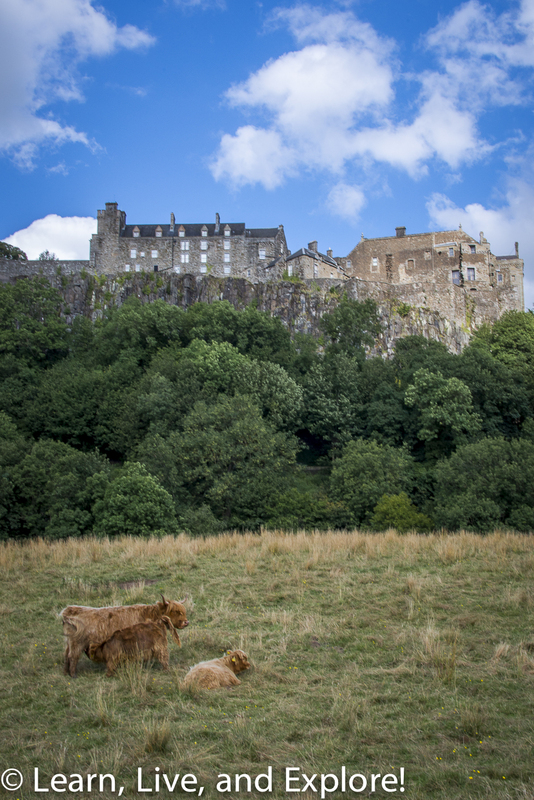 The history of Stirling Castle is vast because of its size and location. Like Linlithgow, the castle was a residence to Scottish Kings in the 14th and 15th centuries, though the use of the land as a fortified military post dates back to the Romans. It's location is atop a volcanic crag near the last possible crossing of the River Forth. 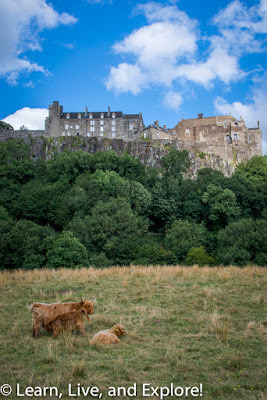 During the War of Scottish Independence, Stirling Castle was occupied by the English until William Wallace and company dislodged them after the Battle of Stirling Bridge. 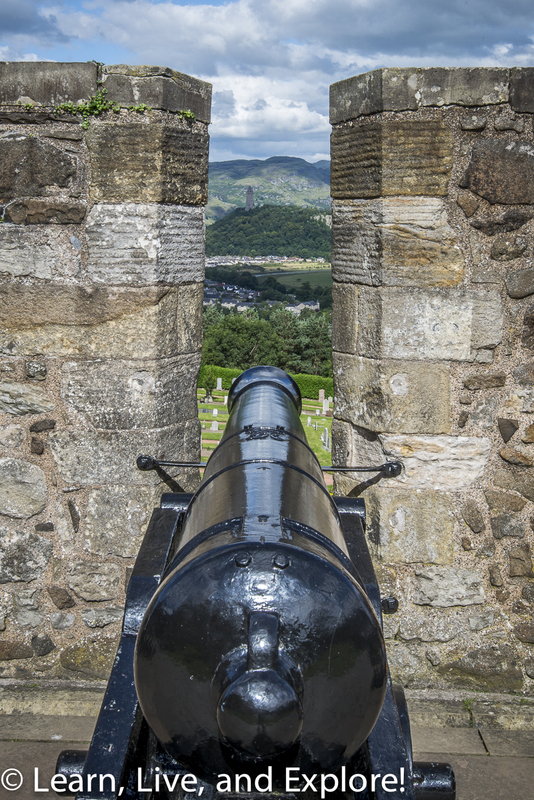 A tall monument to William Wallace can be seen from the castle atop a nearby hill. I'm only scratching the surface of the castle's history here. 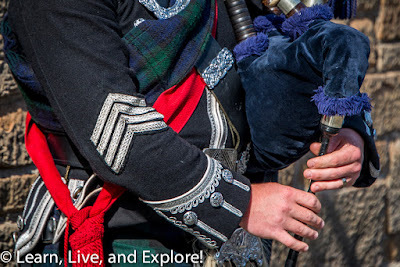 The battles continued for another 59 years in the Wars of Scottish Independence. 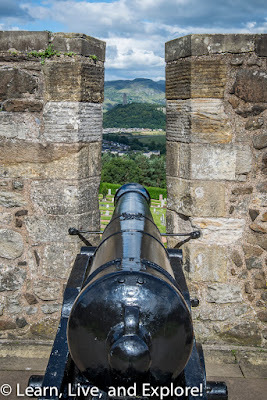 And Stirling continued to switch occupants for hundreds of years after. So the end of this description is for me to just tell you to go see the castle! 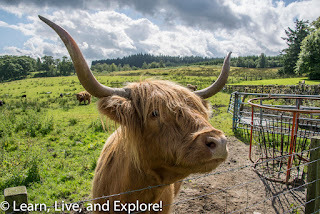 I can't write a post about Scotland and not talk about the cute highland cattle, also known as hairy coos. You'll see them sporadically in fields. 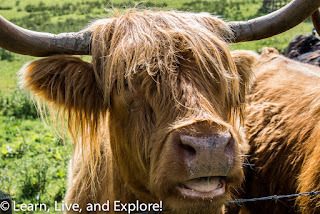 Sometimes you may be lucky enough to catch some near the fence who are interested in saying hi and posing for a photo! Be cautious of their sharp horns though.